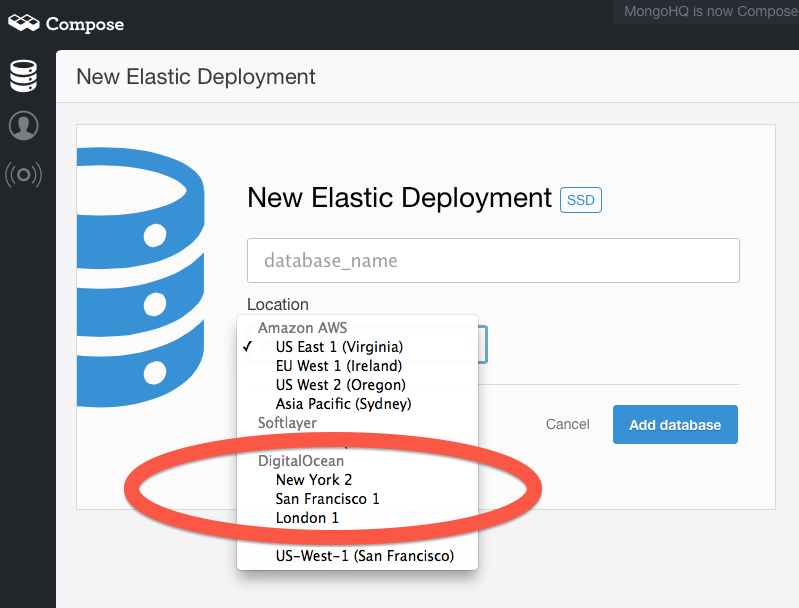 When we launched Compose MongoDB deployments on DigitalOcean's New York City datacenter, we knew we were answering a pent up demand for our auto-scaling MongoDB with DigitialOcean's SSD backed hosting. When the launch went so well, we knew we'd need to bring forward the schedule for deploying Composed MongoDB to another DigitalOcean datacenter and we couldn't decide which one. Some customers had already been asking for a San Francisco presence. With its existing installed base of users, close to our Silion Valley roots and the start up community we've always been proud to serve, San Francisco stood out a fine option. Other customers wanted us to open up on DigitalOcean's London presence. London and the UK has a booming startup community, much of it centered around what's called "Silicon Roundabout", and opening up there would solve latency issues for them and many European DigitalOcean users including US companies reaching out into Europe. We couldn't decide, and we asked you to vote - Silicon Valley or Silicon Roundabout - and we waited for the results. Far more of you voted than we expected and, after allowing for sampling error, it does seem that even this ballot was split on which location to pick. It was an enviable conundrum to have, but how to resolve it? DigitalOcean users can now build and scale their applications for New York, San Francisco and London safe in the knowledge that they can hand their database storage needs over to us and freeing them to focus on delivering great applications to their customers and growing their businesses. Everybody wins and if you voted, now is your chance to put your money where your vote is. If you didn't vote and want you want to join them then sign up with Compose and DigitalOcean today.